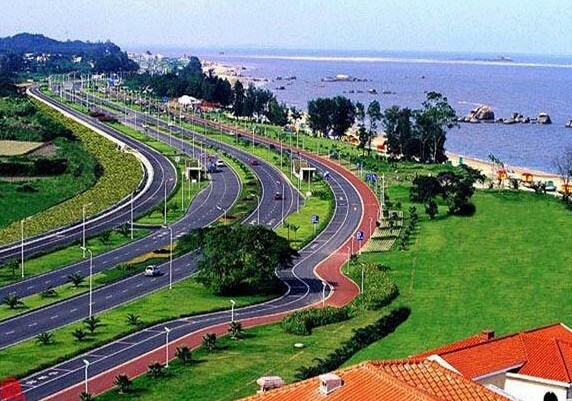 Tong'an Tourist Area is in the northern part of Xiamen Island and faces the sea in the southeast and is surrounded by the mountain on three sides. 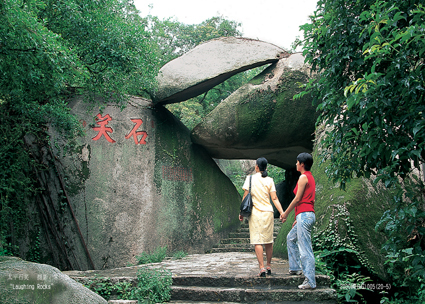 The area has a history of 1,700 years and is the largest administrative district today in Xiamen. 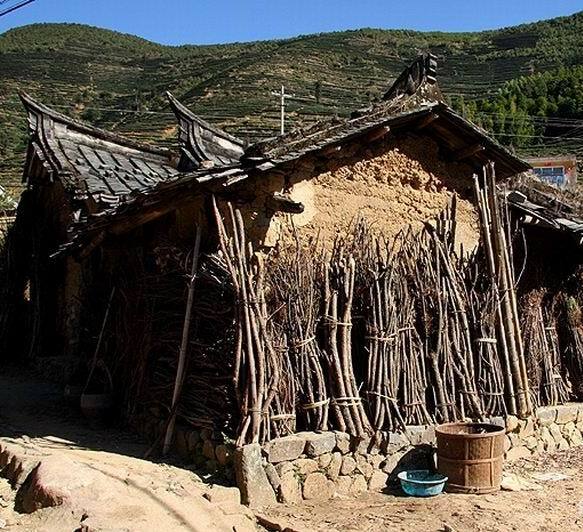 Tong'an is rich in natural and cultural tourist resources and boasts 51 provincial and county cultural sites under the protection. Also it is former residence of Su Song, a famous minister of the Northern Song Dynasty. It boasts Tong'an Movie and TV City, Dalun Moun- tain and Fantian Temple, Tingxi Hot Spring Holiday and Amusement Zone, Wild Valley Ecopark and once the largest Kaikou Golf Course in Asia. On both banks of Dongxi River in Wuxian Town, Tong' an District, this movie and TV city borders the ancient Fantian Temple. It covers an area of 667,000 square meters and is a bril- liant pseudo-classic man-made amuse- ment city. This movie and TV city is a com- munity to demonstrate China's ancient buildings, folk customs, modern and high technology in amusement and production of movie and TV dramas. The first-phase project covers the imi- tation construction of six ancient build- ings of Tian' anmen, the Hall of Su- preme Harmony, the Hall of Mental Cultivation, South City Gate Tower, the Long Corridor and Ming-Qing Street. In addition, there are the Nine- Dragon Screen, Imperial Garden, man- made hills and waterfalls. While visiting this group of ancient buildings, people can enjoy the dem- onstration of customs and culture of south Fujian Province and acrobatic performances, and participate in other recreational activities such as acting as an emperor, riding horse, shooting and forest exploration. Also tourists can buy handicrafts, paintings, calli- graphic works, jewelry and Taiwan products at the Ming-Qing Street and try various kinds of Xiamen local and special dishes and snacks at the Douyichu Restaurant. The Dalun (Great Wheel) Moun- tain is located in east Tong' an City and is the main peak in Tong' an District. It undulates for several kilometers like a big wheel, so it gets its name. The mountain has a beautiful landscape and boasts many scenic spots. 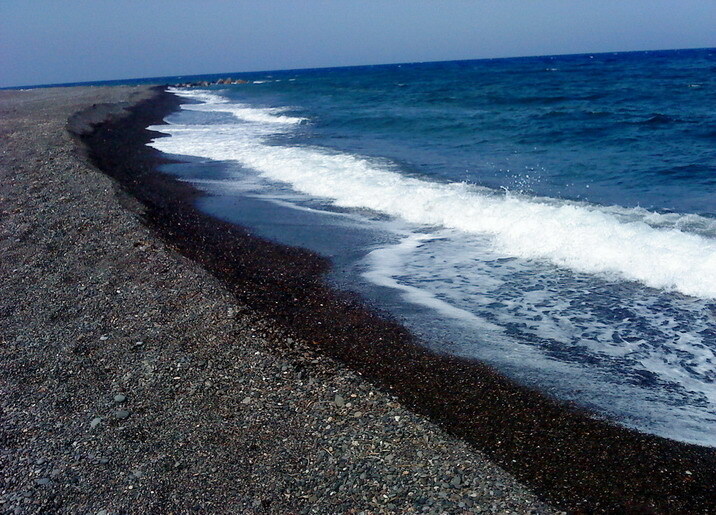 It has attracted many scholars and celebri- ties who left many poems, calligraphic works and cliff inscriptions here. 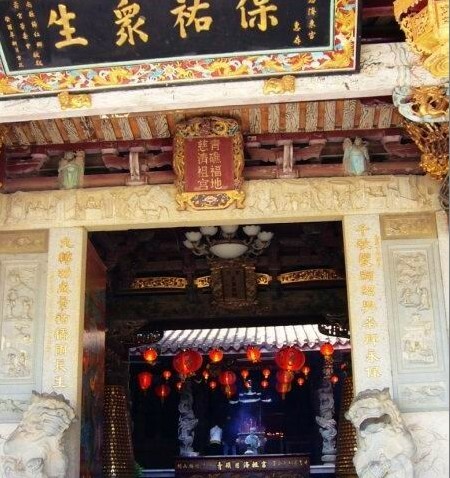 To- day there are the Fantian Temple, Brahman Dagoba, Entrance to the Dalun Mountain, Wengong Academy and other scenic spots. 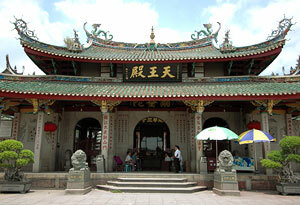 The Fantian Temple is located on the southern foot of the Dalun Mountain. It was first built in 581 or the first year of the Kaihuang reign of the Sui Dynasty (581-618) and is one of the oldest Buddhist temples in Fujian Province. Behind the temple stands the Wengong Academy, or Ziyang Academy. It was the earliest one by the Quanzhou Prefecture. 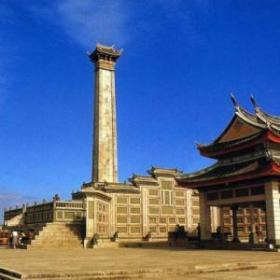 It houses the valuable stone statue ofZhu Xi. The buildings in the temple are in an irregu- lar arrangement and paths winds around buildings. With many trees and bamboos, the temple is quiet enough for cultivation and reading books. 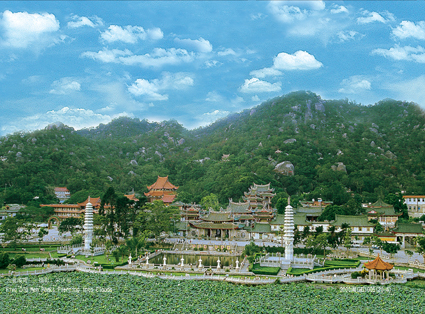 The North Mountain indicates the Beichen Mountain in Tong'an and the Dragon Pools indicate the 12- pool waterfalls to the north of Beichen Mountain, at its foot. The rushing down water produces a one-kilometer-long valley and makes 1,000- meter-long waterfalls and 12 water pools. 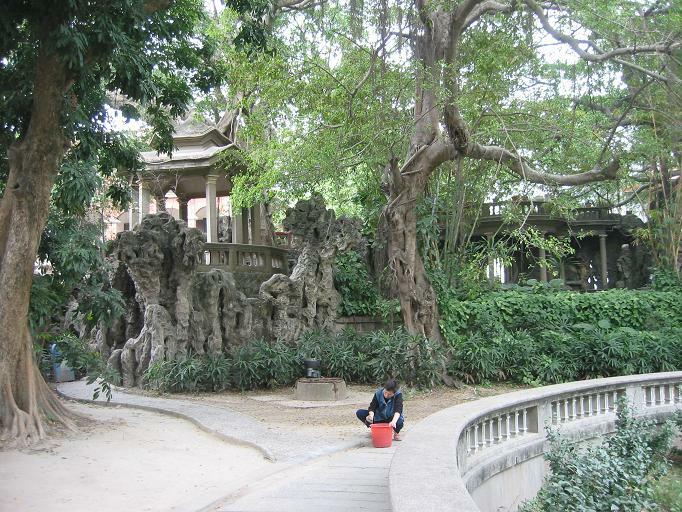 They are one of the 20 famous scenic spots in Xiamen. 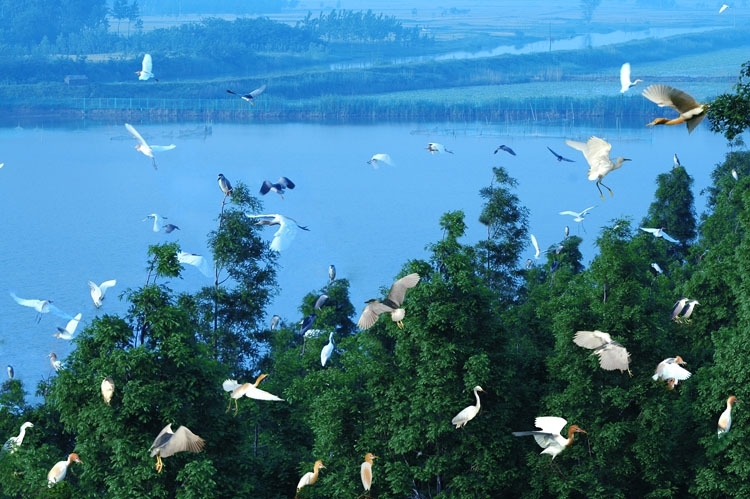 Famous as "the Lesser Jiuzhai of south Fujian," this Wild Valley Ecopark is on the No. 206 provincial highway, at the one kilometer to the Longmen Tunnel on the highway from Tong'an to Anxi. 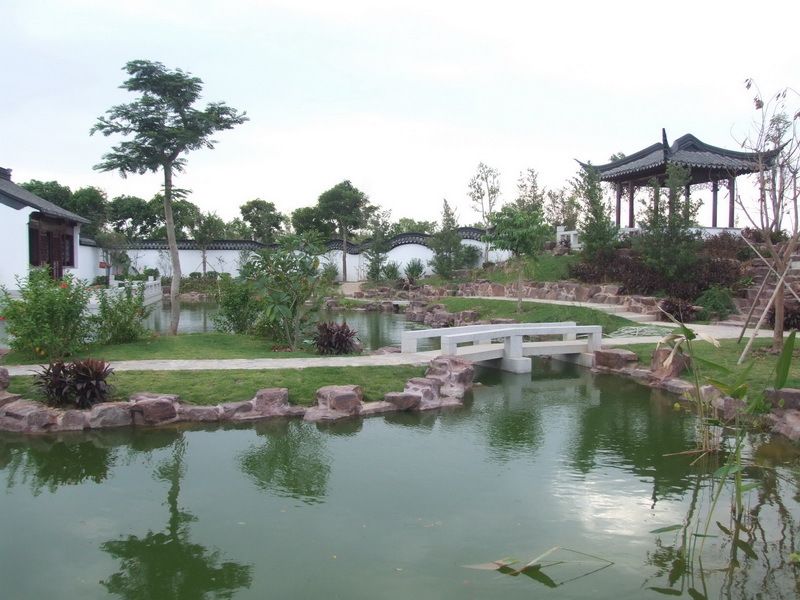 This ecopark is com- posed of five sections: Yongcheng Mountain, Da'annei, Shuangxikou, Caijin Brook and Caiyin Brook. It cov- ers an area of 415 hectares and is an important part of the Lotus National Forest Park. In three phases, it will be built into a comprehensive tourist area for tourism, amusement, exploration, ecological farming, scientific popular- ization and inspection, school training and teamwork training. Former Residence of Su Song, or Lushan Hall, is located in Yongfeng Township in northwest part of Tong' an City. It covers an area of 1,700 square meters and stands against the Hulu Hill and faces the Ximo Pool. This residence was rebuilt in the first year of the republic. The building has rooms in three rows and a total floor space of 750 square meters. It houses a sitting statue of Su Song, the Su family record and pictures of eight famous persons of the Su descendants. Su Song (1020-1101 ), a native of Tong' an, was famous as an expert in several fields. The newly built Su Song Science and Technology Hall shows Su's great career as a politician, diplomat, astronomer, druggist, writer and historian. The hall houses a model of the first astronomical clock in the world invented by Su Song. By Dongxi Stream, the Tong'an Confucius Temple was first con- structed in the Five Dynasties (907- 960) and was rebuilt in the 18th year of the Jiaqing reign ( 1813) of the Qing Dynasty, with an area of 1,050 square meters. The main hall is a building with a gable and hip roof, double eaves, a covered corridor with 15 purlins, crisscrossed bracket sets, and beautiful woodcarvings, show- ing consummate skills. The Confucius Temple is a place to pay homage to Confucius, as well as a renowned school. Now the temple is renovated as the Tong'an Museum, which holds the historical relics, the introductions to outstanding local gentlemen and officials, and cultural relics of the past ages since the West- ern Han Dynasty (206 B.C.-24 A.D.). Transport: It can be reached by bus at the Experimental Primary School Station. Designed by a famous Australian player Greg Norman, Kaikou ( Xiamen) Golf Club was built on a slow slope. It covers an area of 233 hectares and is surrounded by over 10 kilometers long granite wall like the Great Wall, turning it into a "kingdom" free from the outside. The club plans to build 36 international standard fairways. Today it has built 18 holes in the east and a driving range, which are open to the public. The clubhouse of the Kaikou Golf Club has more than 10,000 square meters build-up area and equipped with complete facilities with excel- lent services, including central air- conditioning system, Chinese and Western restaurants, large conference rooms, relaxation suites, business center, beauty salon, audio supplies, etc. In addition, there is a golf school with bright and spacious classrooms and dorms. Golf talents are born here under the instruction of professional teachers. Stand by the sea and at the foot of the hills, the elegant villas have a good view of surroundings, where are good places for the club mem- bers and golf lovers to stay.